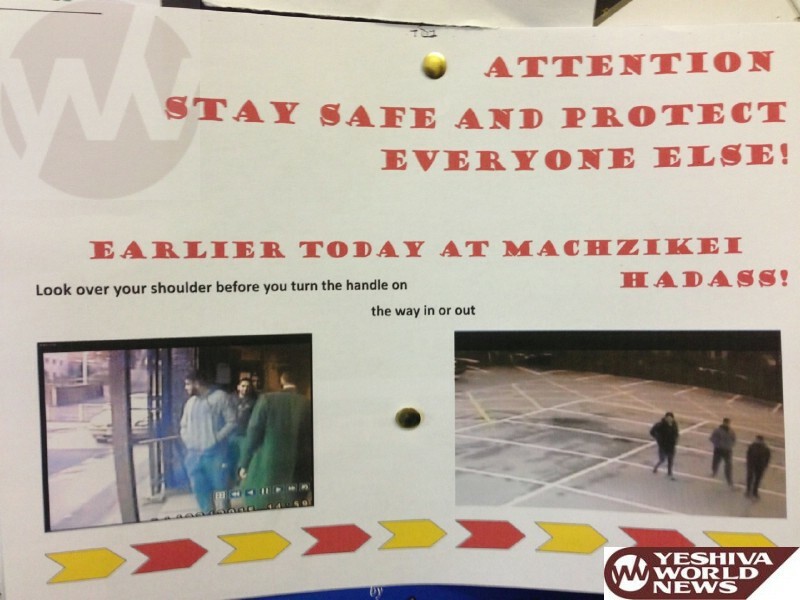 Three suspicious males entered the Machzikei Hadaas Shul in Manchester UK, Tuesday afternoon, prompting a warning to be sent around the community. Sources tell YWN that around 4:30PM Tuesday afternoon, three Muslim males entered the Shul, and started telling people inside that they came to “make peace”. They were quickly escorted off the premises prior to the arrival of Police or Shomrim. Police are in possession of the security cameras from the Shul, and Detectives are trying to identify the suspects. The incident has the community on edge prompting Manchester Shomrim along with police to add additional patrols due to the ongoing concern. What’s the big deal? Boruch Hashem there are some well-meaning Arab cousins of our’s that understand peace is the only option….Why not embrace them, and invite them in ? Are you serious? Surely not. Maybe they just needed to use the bathroom. Al daas hamakom, in light of the anti Semitic attacks we’ve seen here in Europe recently, we can’t afford to be naive when it comes to safety. They ‘mean well’…until they take their knives out C”V! If they genuinely want peace, wonderful. But they need to find a way to prove it. I agree with comment #1. There are moderate Muslims out there. Muslim terrorists today don’t come with the excuse of making peace. They simply commit their terrorist acts. If these people had in mind to commit terrorism they would not say they are coming for peace- they would simply attack. If they would have a bomb or knives would they wait for the police and let themselves be escorted?! If there are Muslims coming to make peace its not right to treat them like that. I find it way scarier that Jews in Brooklyn use Muslim taxi drivers and they have no idea what the outlook of these drivers are. THAT is being naive. And sending sending these people packing is being naive as well.